Peace! 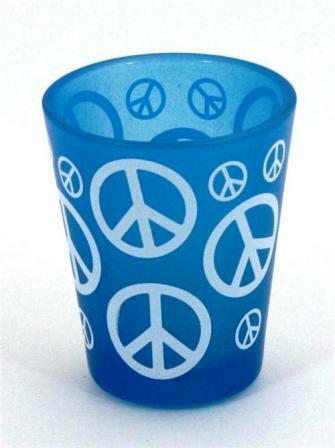 I'll drink to that and so can you with our blue peace sign shot glass. It's a regulation size shot glass.